The latest public consultation exercise from the District Council may well prove to be the most important of the many Local Plan consultations. Your District Councillors have tried to reduce the number of houses allocated to Eynsham, but to no avail, says Cllr Peter Emery. These notes have been put together with your Parish Council and are intended to help you understand the most important parts of the Sustainability Appraisal report in order to help you to respond to the consultation. 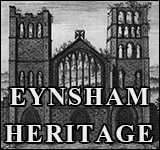 This consultation will be the last time that you can make an effective argument against the overdevelopment of Eynsham as the Inspector WILL receive your comments and he will shortly afterwards decide if the Eynsham site for a Garden Village, and the Urban extension to the West of Eynsham are ‘sound’. 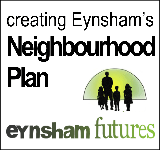 Eynsham residents need to be very concerned and should make comments on this document - particularly the Eynsham site for a Garden Village and the Urban extension to the west of Eynsham known as the Eynsham Strategic Development Area. 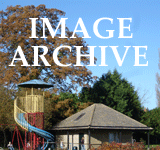 You should remember that WODC has agreed to support Oxford City by building houses to meet their ‘unmet need’. 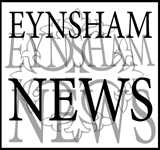 The agreed number for the West Oxfordshire District is 2750, all of which are currently allocated to Eynsham: 2200 in the Garden Village (GV) and 550 as part of the extension of Eynsham SDA to the west. Please take the time to read these notes. Take a look at the Sustainability Appraisal document, you do not need to read it all, the pages that matter are highlighted in these notes. When you have read these notes and those pages please, please make your comments by following the link below and the instructions on that page - they really do matter this time! Try to avoid the temptation to merely ‘cut and paste’ from these notes, the Inspector will see that and your comments will carry less weight. Use the facts here but in your own words for maximum effect. If it helps, you can email your comments to me with your contact details and I will forward them to the Inspector along with the paper copies.